All children learning instruments with Lancashire Music Service teachers get to use our Charanga Music World online learning programme. This modern blended learning approach provides children with the best of both worlds: children have lessons with one of our expert teachers AND receive online support between lessons to help them practise and progress. 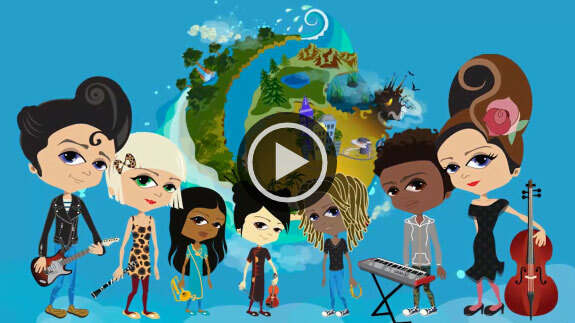 Take a look at the video to see what children experience with Music World. Music World supports learning across 24 different instruments and since its introduction well over 10,000 children have used it to support their music learning. 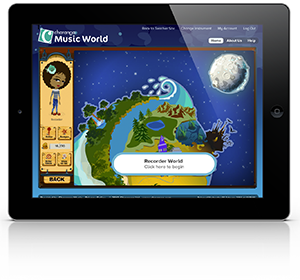 For professional music teachers one of the great features is the Music World Moon. Once teachers have set up their students with access to Music World they can set personalised ‘Moon Missions’ for them which appear for children on the Music World moon. If you’d like to find out more about Music World please email info@charanga.com.